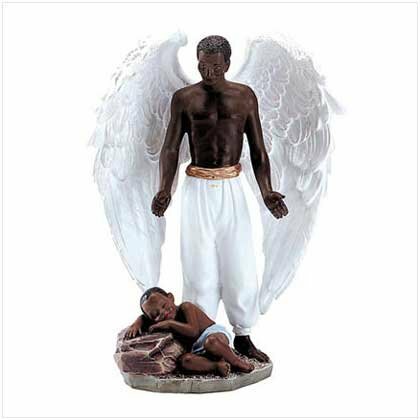 With strong wings spread, this guardian angel lovingly watches over a child deep in slumber. Polyresin. Measures: 5 1/2" x 3 1/2" x 7" high.